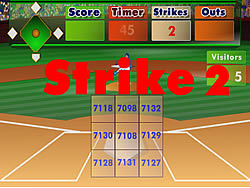 Batter's Up Baseball is a math game that is played like real Baseball. When the math game starts you will see the visitors score on the screen. Your goal is to beat the visitors score and win the baseball game.